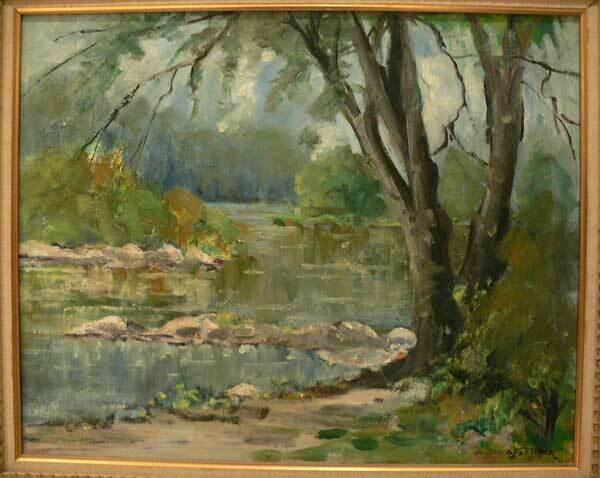 An oil on board by Canadian artist George Fletcher (1914-87) of an idyllic woodland scene bisected by a flowing stream. 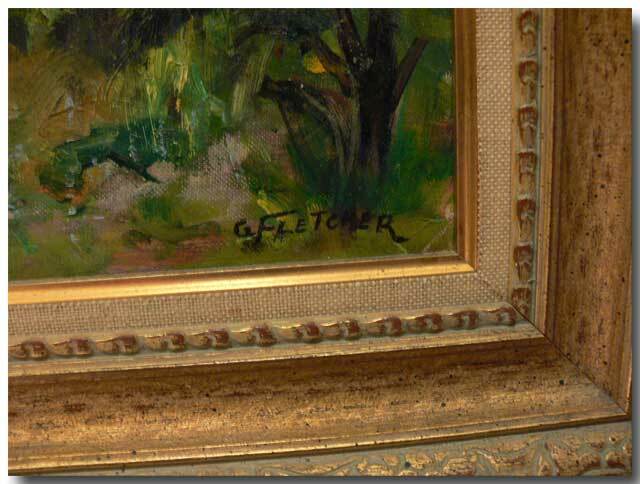 Set in a gilded wooden frame and signed G. Fletcher at lower right. 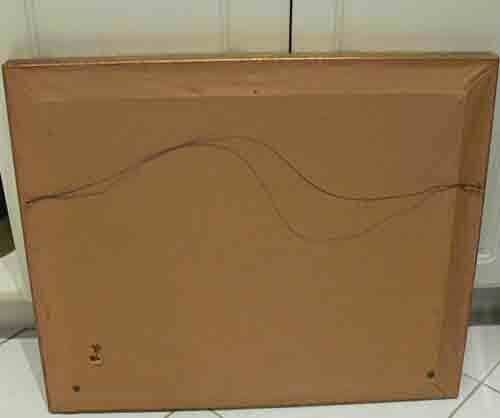 Papered at rear & wired for hanging. Approx. size in inches: Sight size: 19.5 x 15.5. Framed:24.5 x 20.5. Dates circa 1950. Mr. Fletcher worked in Simpson’s Art Gallery as a teenager in charge of installation. 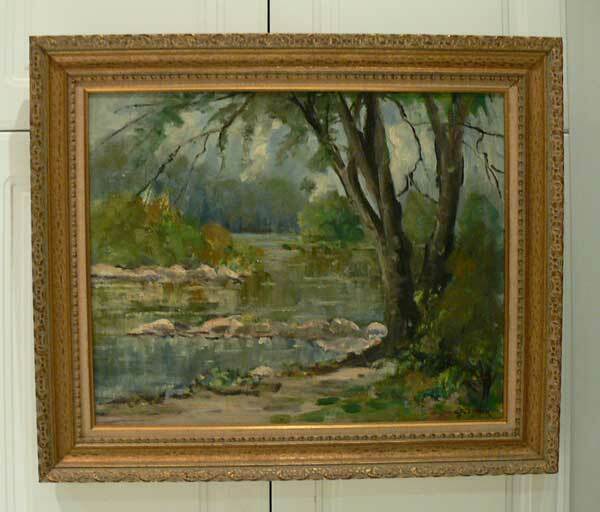 He started hanging his own paintings along with those of Franz Johnston and saw them quickly sell thus kickstarting his own career.